I adore new releases and I wait patiently(not) for my orders to arrive, keeping an eye out for the postman. He probably thinks I am really devoted to him, but really it is because he delivers my orders of "Happy Mail" like paper, sequins, stamps, markers, dies, etc. And packages from Craftin Desert Divas definitely consitiute Happy Mail! 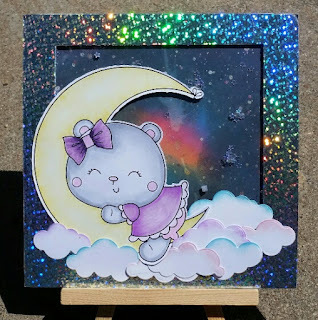 So let me show you what I was playing with and created! This first card is created with the Sleeping On The Moon Digital Stamp! Isn't she so sweet! 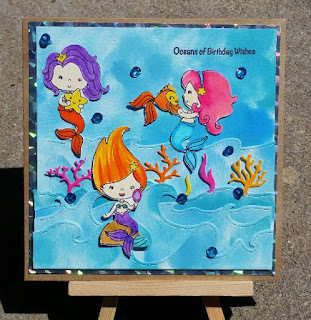 Next up is some fun with the stamp set called Mermaid Lagoon and the die set called Ocean Border Dies. 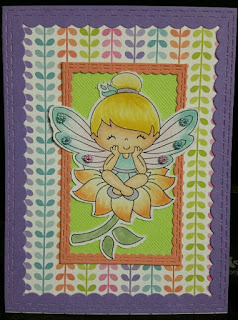 And finally another adorable digi stamp called Magical Day paired with another awesome die set called Inside Scalloped Rectangle Dies. 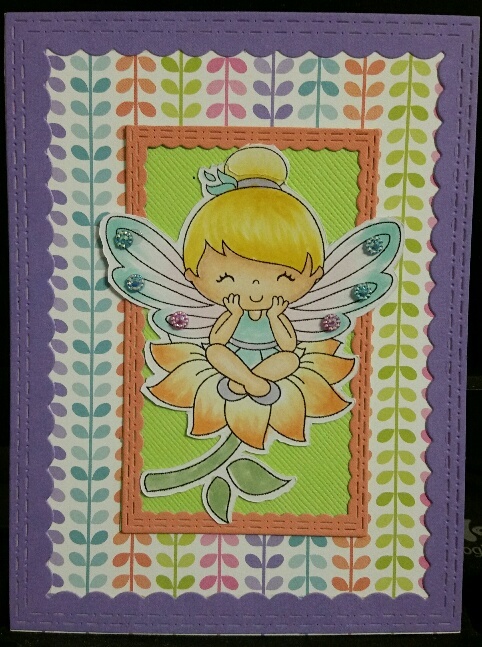 I had such fun playing with these images and dies and love that fact that you can combine both stamps, digis and dies to create so many different looks. So what do you think? I would love to know, so please leave me a comment as to which is your favorite!